Public prosecutor Mitesh Amin opposed the plea, saying it would be too early to modify the conditions. The court then rejected the petition. The Gujarat High Court on Friday rejected quota agitation leader Hardik Patel's plea that his bail conditions be relaxed. Justice A J Desai rejected the petition. 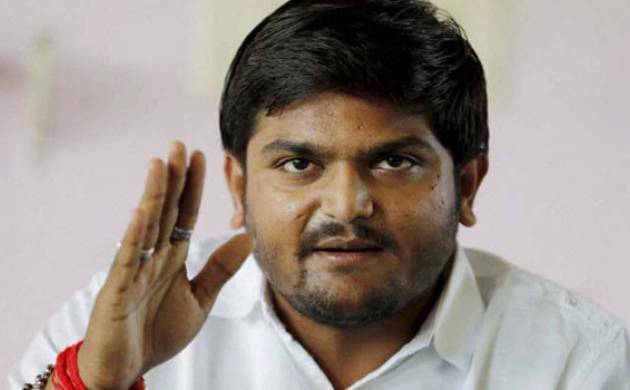 Hardik had said as per the conditions laid down by the high court while granting him bail in two sedition cases in July 2016, he has to appear before crime branch offices in Ahmedabad and Surat once a week. Visiting two cities every week was inconvenient, said his lawyer I H Syed, who urged the court to relax the condition and require Hardik to appear only before Ahmedabad crime branch every week. However, public prosecutor Mitesh Amin opposed the plea, saying it would be too early to modify the conditions. The court then rejected the petition. As a part of the bail conditions, Hardik stayed outside Gujarat for six months after his release in July last year. He returned to his home state last month.